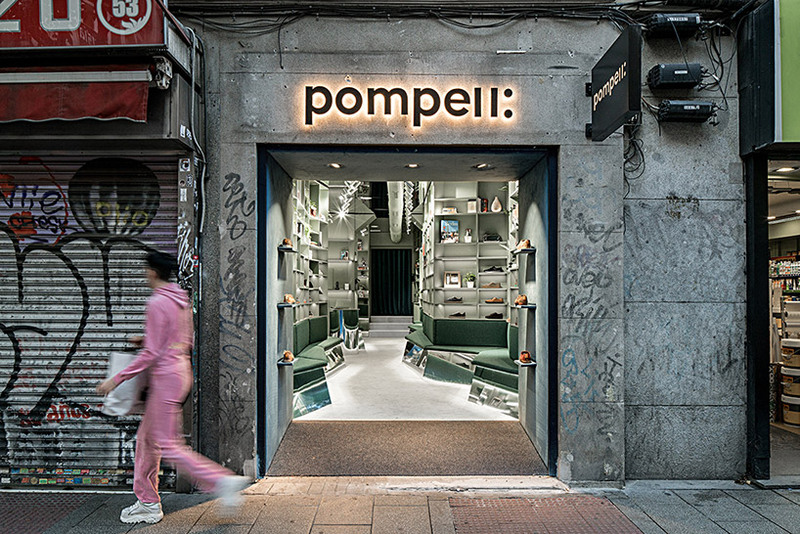 young architecture and design studio el departamento, led by architect alberto garcía and art director marina martín, debuts in madrid with the design of a very unique sneaker store ‘pompeii:’ on fuencarral street. 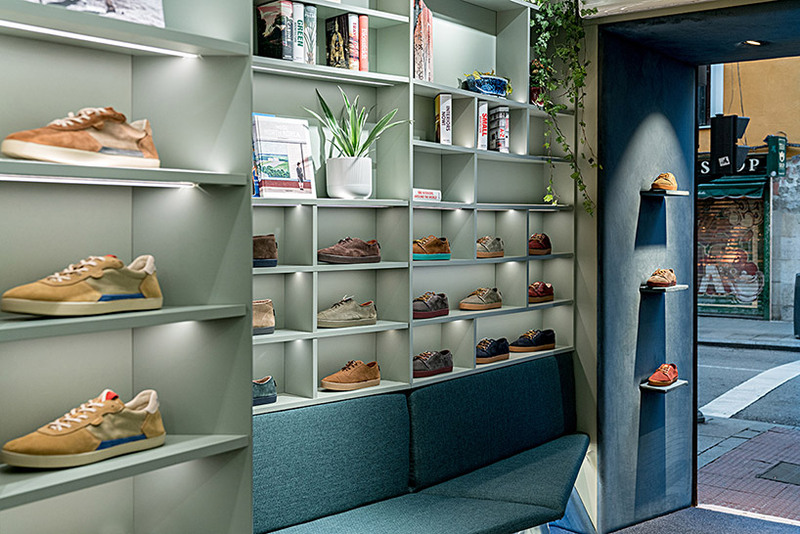 it only took 6 weeks to get the store up and running; the design is determined by the narrow and long morphology of the commercial space. 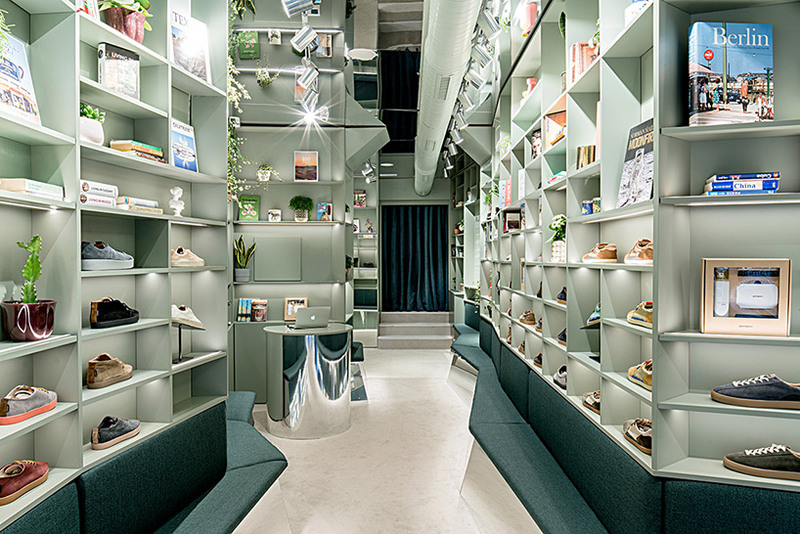 the architects have developed a shelving structure with an irregular geometrical bench that runs through the store’s entire perimeter, liberating the space for an impressive central corridor. 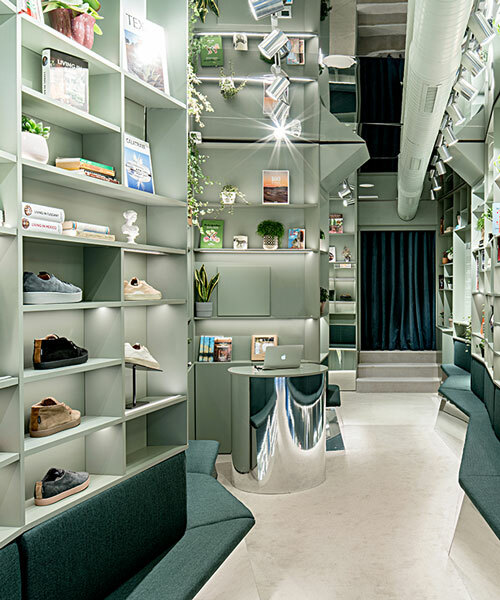 the elevation consists of horizontal bands of mirror, bench and shelves: there are sneakers displayed throughout the entire space, so that the customer can try on a pair of sneakers and take a look in the mirror anywhere they want to. 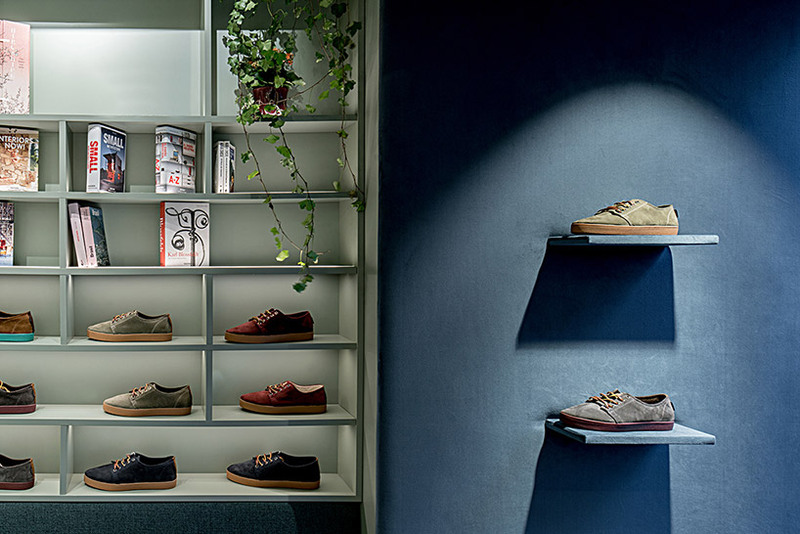 originality is one of the project’s premises, therefore it aims to move away from the typical shoe store we all know. 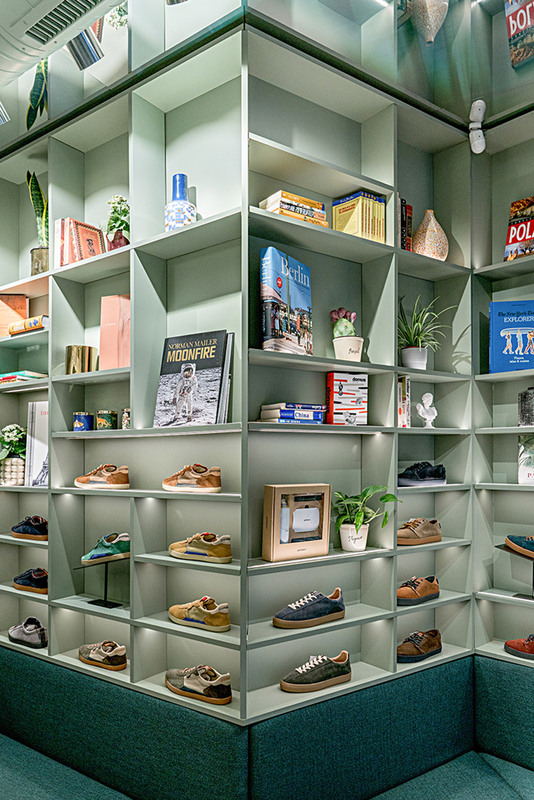 this is achieved through the shelves, which enable to instill the brand’s personality in every object. another key of the design was is the use of textiles and reflections. 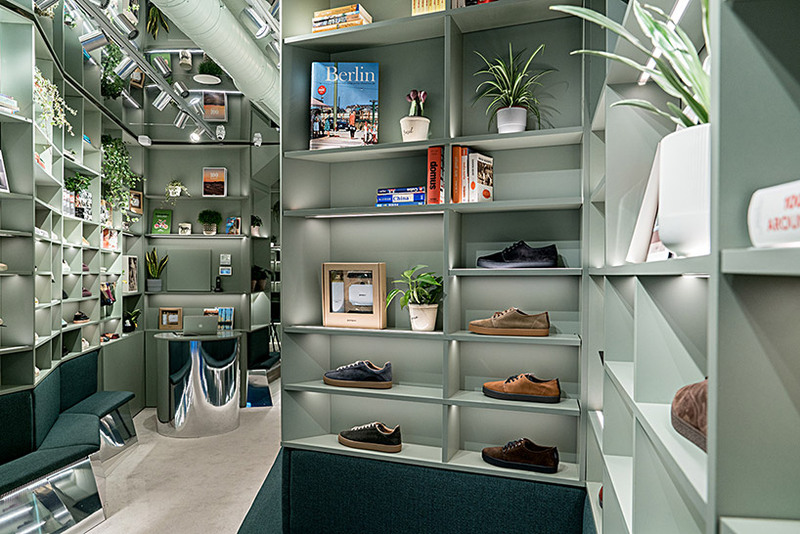 the emerald green-upholstered bench creates a subtle contrast to the shelves’ almond green. 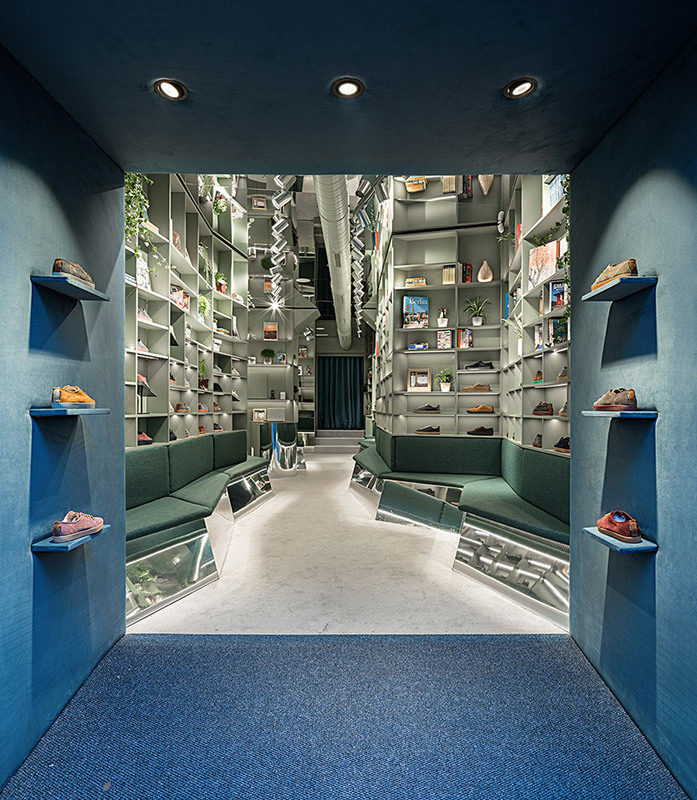 the carpeted floor softens the steps, making the customer get into the brand’s universe while stepping into the store through an entrance unexpectedly upholstered in blue velvet. 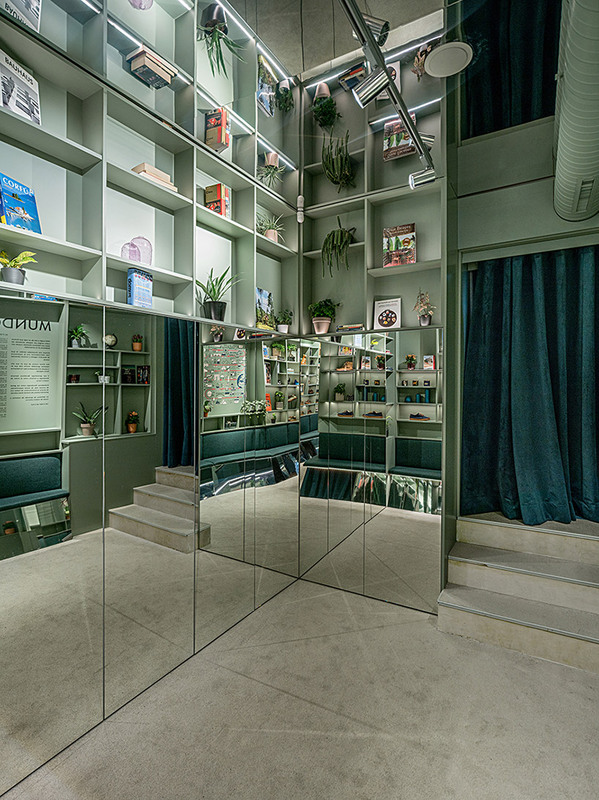 at the back of the store velvet curtains conceal the blue room – a unique space where the brand will display its exclusive and limited editions.